Welcome to Paws on Peaks! I am a proud pack member of the Tybtangs clan, comprised of myself (lead activity planner), Ty (Heathen Dingo of the North), Tango (the “old soul”), and Erick (supportive husband). Paws on Peaks is all about experiencing nature with dogs. We love to hike in the White Mountains of New Hampshire, relish our weekend romps around town near our home in Saco, ME, and are learning the awesome-ness that is backcountry camping. We’ll be sharing our adventures here, hopefully to the benefit of fellow adventurous dog owners. We also serve as a foster family to dogs awaiting their forever homes. We treat them as packmate #5, taking them on our adventures so don’t be surprised to see many guest appearances over the course of this blog! We have been honored with the designation of being a Brand Ambassador for the outdoor dog gear retailer Backcountry K-9. 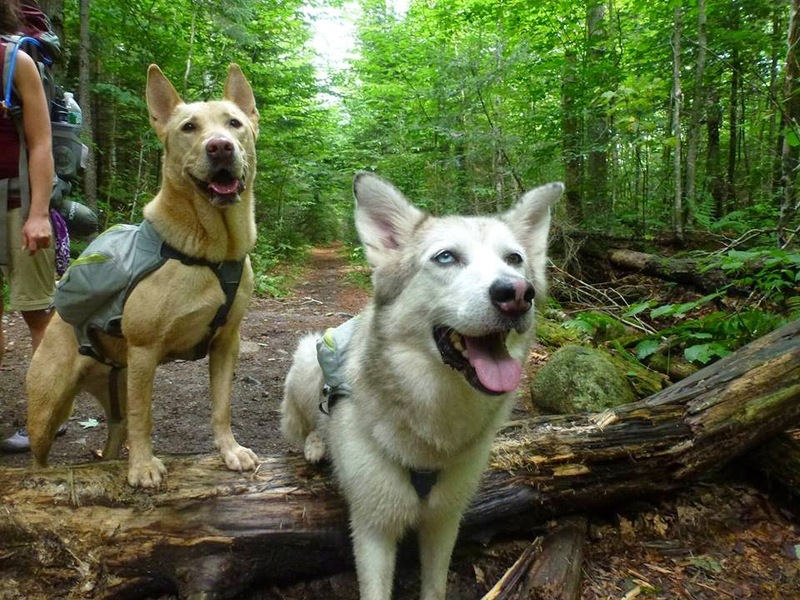 Because I firmly believe in the experience-enhancing powers of the right gear and the opportunity to review gear for Backcountry K-9, you’ll be hearing a lot about packs, multi-function leashes, travel dog beds, etc. here too.